Never let it be said the US is the land of the lawsuit. Two activist groups are suing Viacom because it asked YouTube to remove some content - a parody of one of its shows. MoveOn.org Civic Action and Brave New Films LLC claim the media giant's request was improper, saying the use of the clip is protected under US copyright law as 'fair use.' The clip in question was a parody of The Colbert Report, a Comedy Central programme. The Associated Press news agency reports that the organisations have cited Viacom's request as a 'misrepresentation' under the well-thumbed 1998 Digital Millennium Copyright Act . 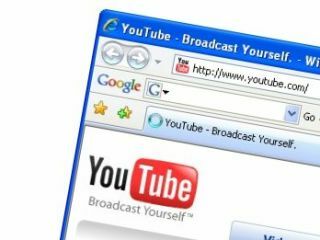 The DMCA, as it is colloquially known, means that services such as YouTube are usually protected from copyright suits as long as they swiftly respond to any 'take down' notices from organisations such as Viacom. And that's where Viacom's beef with YouTube begins. We reported on 13 March how Viacom was suing YouTube for $1 billion, citing "massive intentional copyright infringement". Viacom complained that "160,000 unauthorised clips of Viacom programming" are available on YouTube. The suit maintains these clips have been viewed more than 1.5 billion times between them. "YouTube is a significant, for-profit organisation that has built a lucrative business out of exploiting the devotion of fans to others' creative works in order to enrich itself and its corporate parent Google," said a statement released by Viacom at the time. "Their business model, which is based on building traffic and selling advertising of unlicensed content, is clearly illegal and is in obvious conflict with copyright laws." Several key partnerships have recently been struck allowing YouTube to carry legal content, including one with our own BBC .